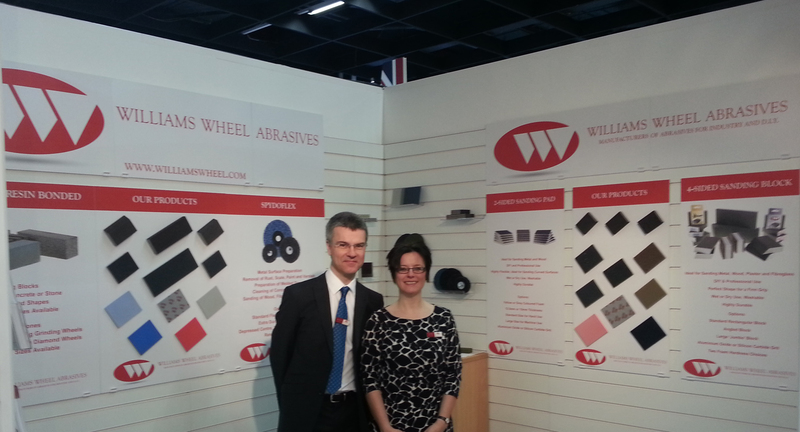 Thanks for visiting us at Cologne Eisenwarenmesse. It was good to meet with so many current and hopefully new customers during the Fair and to learn more about what you and your customers need from us. It was also good to have the opportunity to show you our latest product developments. Our improved version of Spydoflex will hopefully be ready for full scale production in about 6 months. Many of you expressed interest in this product and we will be sure to contact you in the coming months as the samples become available. 1-sided sanding pads have also seen additions to the product range. These pads are now available made with open cell foam to complement our existing closed cell foam range. Both open and closed cell foam pads can be made with or without a Velcro receptive backing. These additions make this product category one of the most versatile with items for hand or machine use. If you want to be kept up to date about our Spydoflex products or would like more infomation about any item in our range then please do contact us.